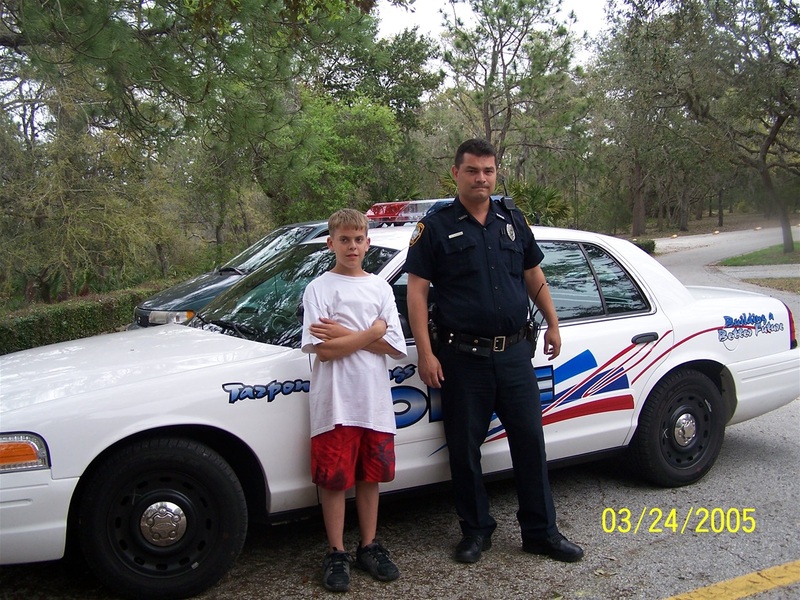 I want to share some things with you before you start your journey as a police officer. I’m sharing this because I am a proud widow of a fallen hero, and now I have a son who is months away from starting his journey as an officer honoring his father. I was asked how I felt about that and had to sit back and really think about it. Charlie and I taught our children to find a career that makes them happy and proud and to never settle in life with “just a job”. So, who was I to question him? Besides, it’s in his blood. My husband Charlie always wanted to be a police officer. He began his career in 1991 with NYPD working midnight shifts on foot in the Washington Heights area. 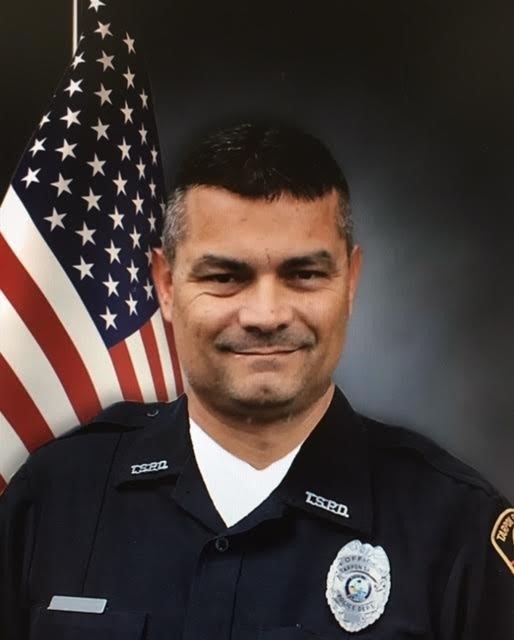 In 1997, he joined the Tarpon Springs Police Department where he served almost eighteen years before he was killed in the line of duty. He was less than three years from retiring; he was only 45. Remember that you will forever be an officer, both in and out of uniform. You will be expected to be an example of a perfect citizen every minute of the day. People will either look up to you or judge you. As Charlie would say, you’re basically like a dentist – no one wants to know you until they need you. You are going to lose friends – a lot of them. Don’t worry, the ones you have yet to meet will support your new career. Hang on to those. There's no doubt your new journey will be a challenge, so use it to be a better person. When you have a chance to make a difference out there, do it. Always be proud of what you do and what you represent, but don’t be arrogant. Find a way to stay humble because that’s what people will remember the most. Don't lose your sense of urgency or let the repetitive calls change you. Find a way to keep your motivation. Your presence will control a lot of situations. Pay attention to that. Oh, and hands…NEVER let their hands leave your sight. It’s a thankless job, but you already know that. It’s not respected by the public the way it used to be. You will be hated by most but respected by the rest, and you will always be on display. Lunch, dinner, and breaks will be a privilege. You’ll learn to eat leftovers cold, and that's if there is time. Be careful with trust and never let your guard down. Listen to your gut. When you are faced with darkness, don’t ever hesitate to do what is right. Don’t let anything cloud your judgment because as you know, you only have seconds to make a life altering decision. Survival is now making it home at the end of every shift. You will be a peacekeeper. This will become second nature to you - in and out of uniform, so use it carefully. Understand that you will not be able to solve the problems of the world, and you will lose sometimes but it's okay if you've done your best. Don’t take work home with you. Find a way to unwind on your way home. When it’s time to put on that uniform, find a way to get into “LEO” mode. Charlie liked to listen to AC/DC on his way to work and country music on the way home. It's a balance you need to find because you and your family will depend on that. You will be a counselor. People will expect you to fix problems in minutes that took them years to create. Learn how to listen and talk to people. It could save your life and maybe theirs. You will be expected to be a doctor. A life, including your own, may depend on your training, so know it well. Don't make room for regret, and don’t EVER get lazy and think you can fix things later because you may not have a “later”. Learn the meaning of integrity by doing the right thing; even when no one else is around. You’ll never lose sleep that way. Always remember your sworn oath and all that it means. Don’t put off praying before every shift; it may be the day you need one. Here’s something good that only we will fully understand. You will have an enormous “blue” family. You will work with men and women who will give their life to save yours, but they will also be the first one to make fun of you every shift. Keep that sense of humor, you'll need it more than you know. Charlie was known for his laugh and funny comments; especially during read-off. Take the time to appreciate your bond with your new brothers and sisters, and don’t take it for granted. If the day ever comes and you don’t make it home, your own family will need them more than anyone. Your blue family will proudly protect yours as their own. I remember being upset and talking to an officer who never met Charlie telling him how hard it was going to be on birthdays and other milestones that their father would miss. He said, “When your husband’s watch ended, your children became ours, and we will stand beside you until our watch ends.” I had no idea how right and truthful that would be until I lived it. Still today, we are surrounded by LEO’s and their families. We have a sense of security and we have thousands to thank for that. Once you are sworn in, you too will be part of that family and it's amazing. This one is tough but so important. Go to a fallen officer’s funeral and listen to the last call. Look at the uniforms from numerous agencies. Watch the honor guard as they fight back tears to keep a strong face. Look around at the hurt in their faces. They feel, honor, and respect the loss. All of this for a person most of them have never met. They know that it could be them at any time, any day. I want you to experience that because I promise it’s life changing, and you will have a different respect for your new family and your career. When you have the time to learn about a fallen family, do it. It means the world to them when someone wants to hear about their hero. Here’s another challenge. Finding a wife who understands an officer’s life will be a struggle. Trust me, this woman is a different kind of strong. She'll be home alone most weekends, nights, holidays, birthdays, and anniversaries. Your wife will need to know that she shares a man that most hate. She will need to know how to help you cope with bad days. I’ve seen the stress and face of a man who has seen things a human should never see…awful things that would shatter most on the inside. She will need to be strong enough to handle a home, children, and most of the responsibilities of your family. She will learn to sleep with the phone and will fall asleep some nights waiting for you to call back. Encourage her to be a part of a LEO organization because most wives will not understand her fears or her lifestyle. Finding friends will be hard for her. She will need a blue family relationship because being an officer’s wife can be overwhelming and scary. 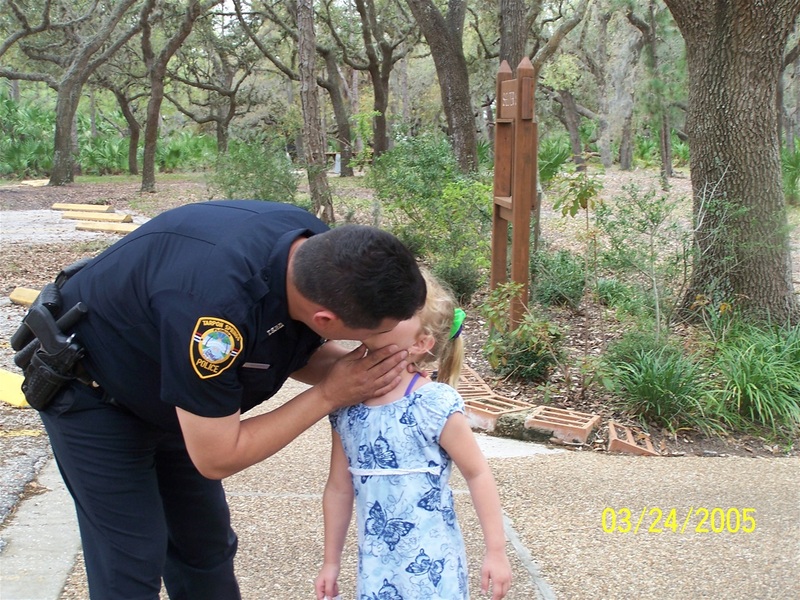 She will need to understand that you may not come home when your shift ends and that you are willing to give your life to protect a family other than your own. She will need to learn not to watch the news because seeing “an officer involved shooting/accident” on the news will make her feel a numbness that won’t go away until you call. If she’s the right one for you, she will be proud of you, and she will know how brave you truly are. Charlie had no idea how powerful his presence was, or how he made a difference without ever trying. His life and the way he treated people with respect throughout his career, including those he arrested, set an example for so many to follow. I was so proud to be his wife. This was Charlie’s rule…NEVER, ever leave home angry. Never leave without saying you love her. Say you’re sorry before you leave, even when it’s not your fault. Talk to her when things get too heavy. Take the time to tell her your wishes or better yet, write it down. It may seem unnecessary now, but it could prevent issues later. Trust me on that one. 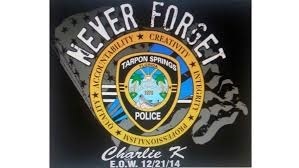 We are heartbroken without Charlie, but he left an amazing legacy behind. He was happy, honest, never judgmental, and so unselfish. He never asked for anything because he was a giver. If there’s anything that has given us comfort after losing him, it’s knowing how much he loved us and how much he was loved. Stay safe out there and make us proud!